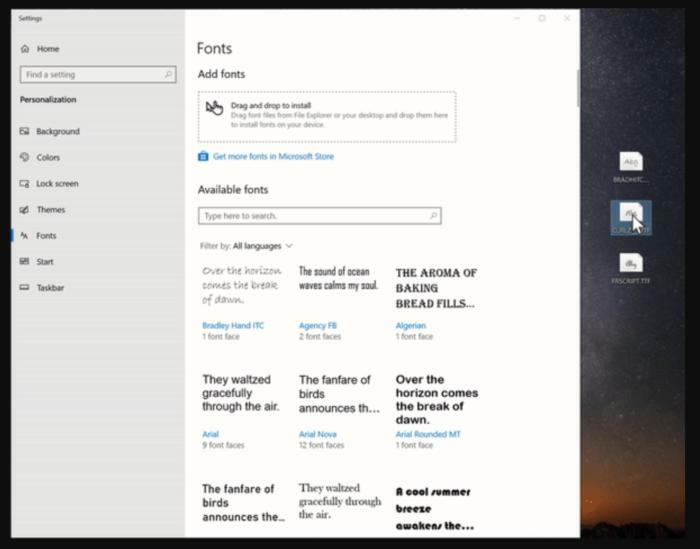 Microsoft releases Windows 10 Insider build 18317, which separates search and Cortana within the taskbar, adds a new way of importing fonts, and makes some changes to the "inbox" apps like Photos. Microsoft’s Insider preview builds for 19H1, the next major update for Windows 10, haven’t been packed as chock full of new features as in releases past, favoring tweaks and adjustments instead. The Windows Insider Build 18317 released on Wednesday also goes this route, most notably by separating Cortana from the Windows 10 search box. The new build also includes new ways to import fonts, a tweaked Windows Console for Linux, and a separate process for the Start menu, a behind-the-scenes change that’s being made for stability’s sake. The most significant change is the separation of Cortana and the search box, which Microsoft has been testing with a few Insider builds previously. “This will enable each experience to innovate independently to best serve their target audiences and use cases,” Microsoft executives wrote in a blog post. 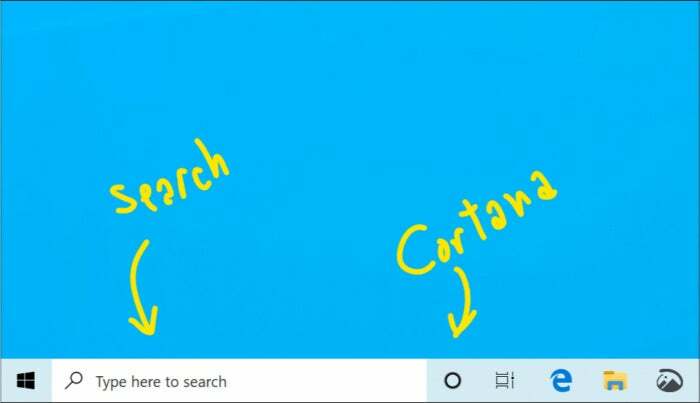 Previously, Cortana and search were inseparable, so that clicking the search box used to launch Cortana as a facilitator for searches, reminders, and more. Over time, however, clicking the Windows search box was transformed into a way to search the Internet and your PC for documents, photos, and more, while Cortana took a back seat. Now, Microsoft says that Cortana will launch you once again into a voice-first digital experience. Here’s the way that Cortana and Search within Windows will look in the upcoming 19H1 release of Windows 10. 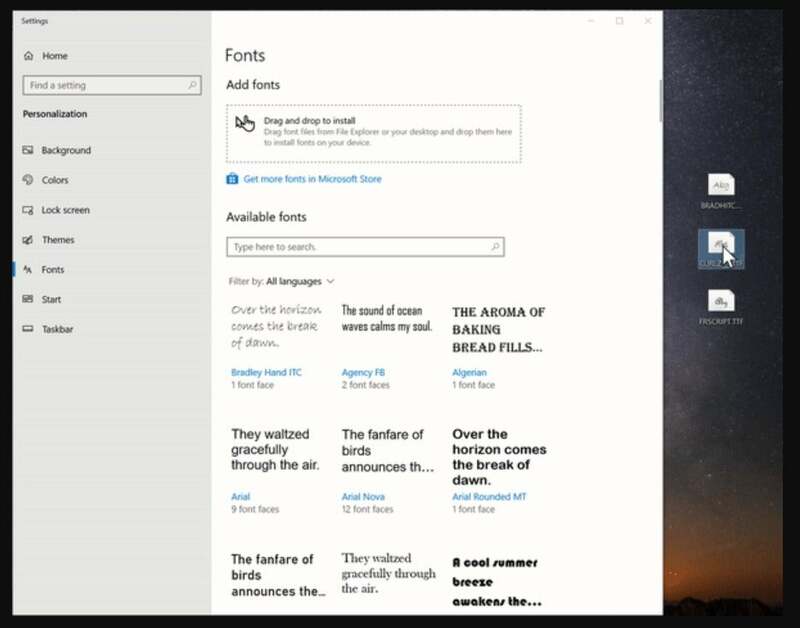 Build 18317 also includes the ability to drag and drop fonts into the Settings > Fonts page, rather than manually importing them. They’ll only be applied to the user currently using Windows (and without the need for administrator privileges), though you can apply it to all users as well. You’ll be able to drag and drop fonts into the Settings menu. This build also features a few bugs, so be wary. If a game contains anticheat technology, it may crash the system with a “green screen of death” bug check; blank icons may appear in the taskbar when you open your notebook; and the “night light” functionality and Creative X-Fi sound cards aren’t working properly, Microsoft says. 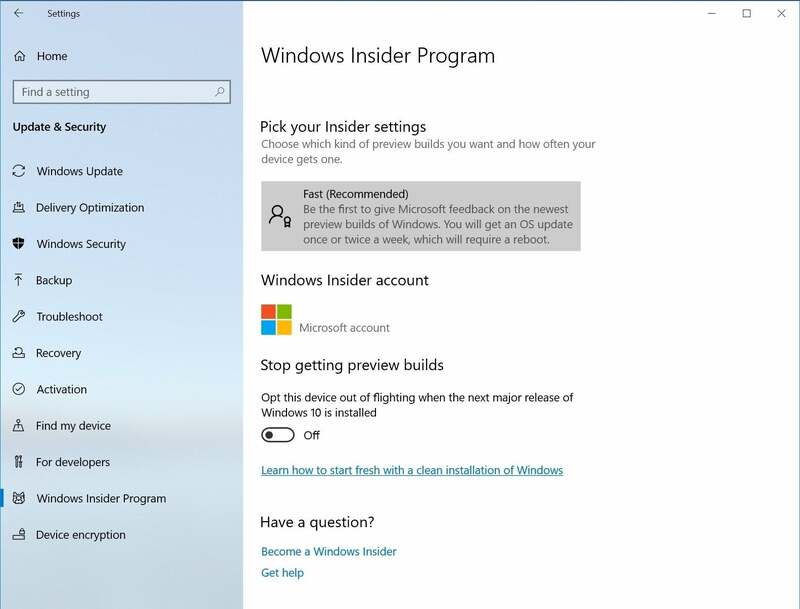 Microsoft’s also tidied up its Windows Insider page within the new Windows 10 Insider build. What this means to you: Microsoft says that the 19H1 bug bash will begin on January 23rd. Traditionally, the bug bash signals the end of the development cycle, but this may be just an early run, to try and nip the last-minute bugs that nagged the Oct. 2018 Update. On the other hand, Microsoft usually wraps up its Insider builds in March or so to prepare for an April release. March isn’t too far away.